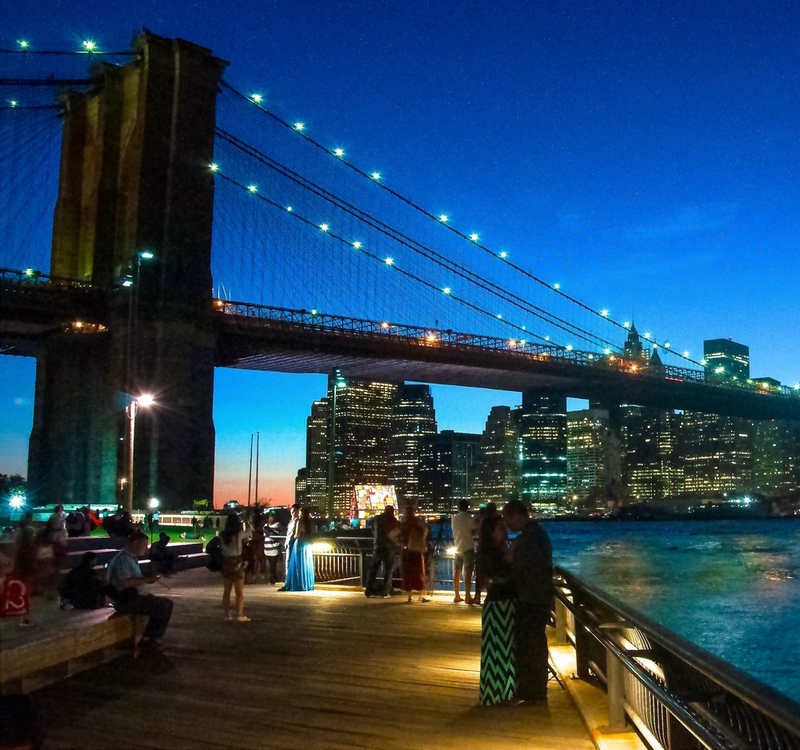 A man and woman embrace for a kiss in the evening shadows of the Brooklyn Bridge. 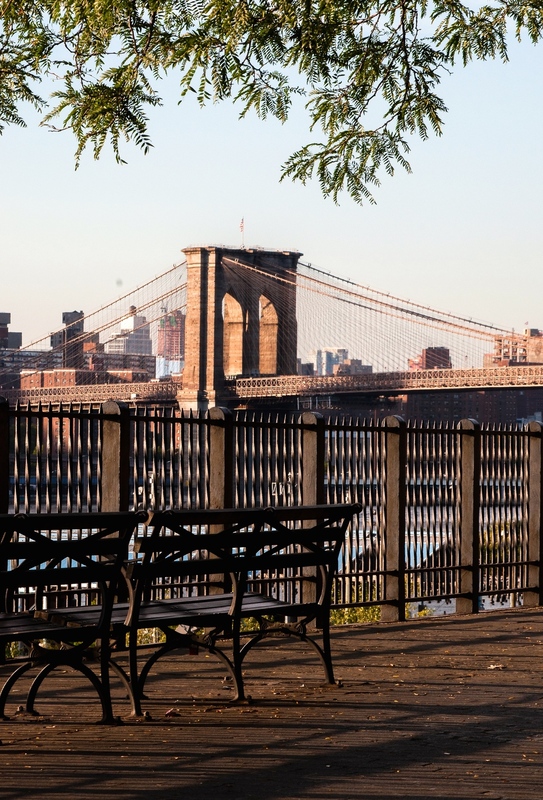 Park-like benches and wrought-iron fence line the Brooklyn Heights Promenade that offers an invigorating view of the Lower Manhattan skyline. The restored brick buildings surrounding Brooklyn Bridge Park harked back to the shipyards there in decades and centuries past.